I have written a lot about how DC (and the federal government, from which it inherited the practice) doesn't have a capital planning and budgeting comparable to most cities and counties. For example, in Montgomery and Baltimore Counties in Maryland, they run a capital budgeting process separate from the annual operating budgeting process. Typically it runs on a six year time frame and is constantly updated. By contrast, while DC does capital budgeting planning on a mult-iyear time frame, with a section dedicated to it in both the Mayor's Office and the Office of the Chief Financial Officer, it's not an ongoing public process with hearings and such, and capital projects are then inserted for approval into the annual budget process. It's abetted by the fact that compared to most cities, at least these days, DC is wealthy. But as I was reminded by a post in Urbanophile a couple years ago about innovation in the water industry ("Water and Midwest Strategic Thinking"), too often abundance promotes waste rather than parsimony or innovation. 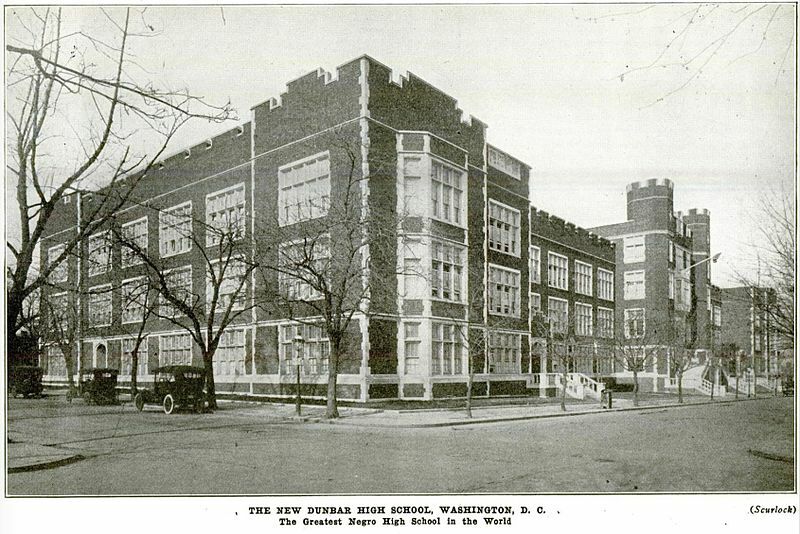 This building for Dunbar High School was constructed in 1917 and demolished in the 1970s. 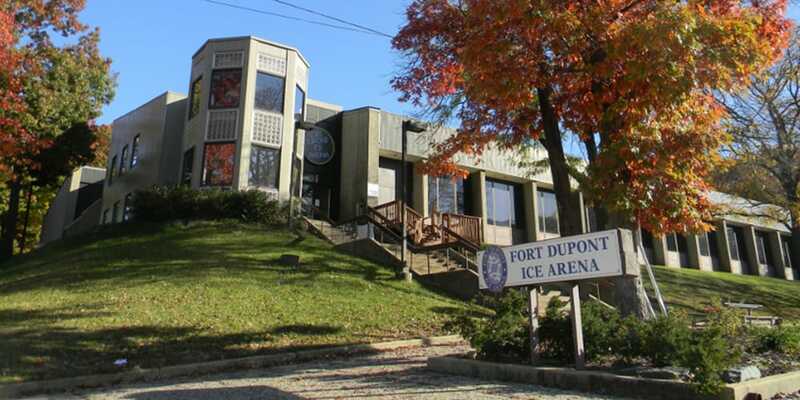 Over the past 40 years, it's been replaced by two buildings at considerable cost. 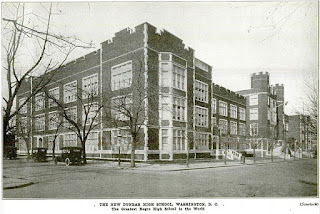 For example, I've written about how DC didn't need to rebuild Dunbar High School, because of relative small enrollments in most of the city's high schools ("DC high school that wasn't needed and rebuilt at a cost of $122 million wins sustainability award," 2015. When you spend capital money on projects you don't need, eventually you run out of money. 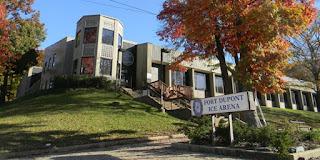 The point about "jacked up" processes that are overly political comes up with a recent decision to pull money away from a renovation of the Fort Dupont Ice Arena ("This is shameful: In a wealthy hockey town, DC kids have nowhere decent to play," Washington Post) to pay for emergency repairs to East of the River school HVAC systems ("School repairs vs. ice rinks: D.C. mayor’s choice inflames passions," Post). 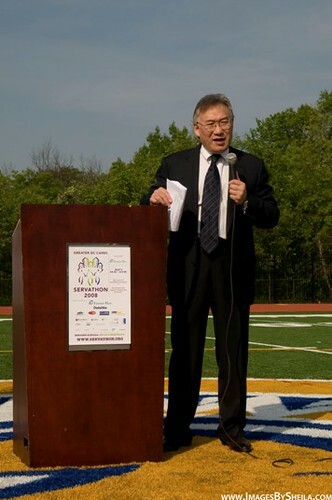 Allen Lew, when he was Executive Director of OPEFM. What happened to the $3.5 billion to fix DC schools? In 2007, the DC Public School system created the Office of Public Education Facilities Modernization, charged with executing a 15-year program and $3.5 billion capital budget--on average about $235 million per year--to rehabilitate, repair, and rebuild schools ("Huge Modernization Campaign Transforms D.C. School System," Washington Diplomat). I don't understand why there isn't enough money to do both since the school system has spent billions of dollars on capital improvements in the past 15 years, and in fact former City Administrator Allen Lew was lauded for his work in his previous job managing this program where he focused on "systems" rather than individual schools, such as HVAC improvement across the property portfolio as a whole ("Meet the New Boss, Allen Lew," Washington City Paper). 1. DC needs to adopt a public process for capital budgeting that is separate from the annual budgeting process. 2. It needs to be based on decision making that is less political and more economic out of a recognition that even in a wealthy city, you have to make choices. Not to mention there's clearly a need to evaluate the success and/or failure of the $3.5 billion schools modernization process. The Montgomery County Charter (Section 302) requires the County Executive to submit a comprehensive six-year program for capital improvements, called the Capital Improvements Program (CIP), not later than January 15 of each even-numbered calendar year. The Charter requires that the annual capital budget be consistent with the six-year program. In odd-numbered calendar years, the approved CIP, together with any amendments, continues to guide capital investment. estimates of costs, anticipated revenue sources, and impacts of the capital program on County revenues and the operating budget. The County Charter (Section 302) also provides that the CIP may be amended at any time. In practice, amendments to the CIP are limited to conform to the requirement for a biennial, or every other year, CIP. Criteria for amendments generally include: use of funds from external sources; projects which address significant health or safety requirements; and economic development opportunities.